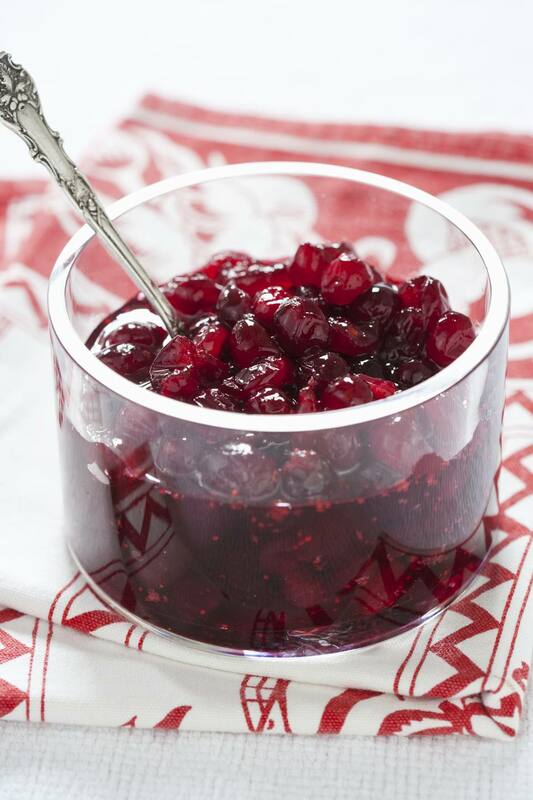 As you're simmering the cranberries for this fresh cranberry sauce, you'll start to hear a popping sound. This is good — it means the berries are bursting and releasing their natural fiber, called pectin, which will thicken the cranberry sauce as you simmer it. Some like a slightly tart cranberry sauce, so in this recipe, you add half the sugar at the start and sweeten to taste when it's finished cooking. But feel free to use more sugar if you like yours sweeter. Just add half at the beginning and the rest, a little at a time, at the end. If you're serving the cranberry sauce warm, let it stand for at least 10 minutes before serving. Or cool and refrigerate for about 30 minutes if you prefer it a bit cooler.